Photo via tipster. GIF by Bobby Finger. Incredible: a rare, extraordinary bird of paradise was discovered dining out in East Greenwich, Rhode Island, and thanks to one intrepid Jezebel reader, we’ve obtained an exclusive photo. It’s a thrill to see Lincoln Chafee, former Democratic primary candidate and metric system advocate, gently clutching a martini with his wife. 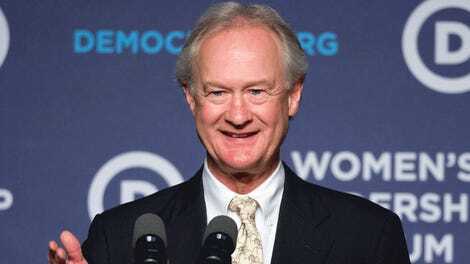 A representative from Siena Restaurant, a popular northern Italian spot in the area, has confirmed that Chafee and his wife ate dinner there on Tuesday evening. 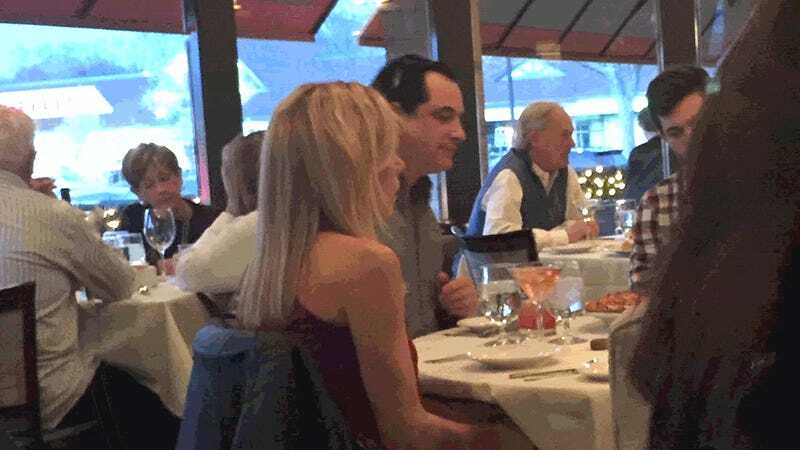 He was wearing a blue fleece vest and enjoying a martini. 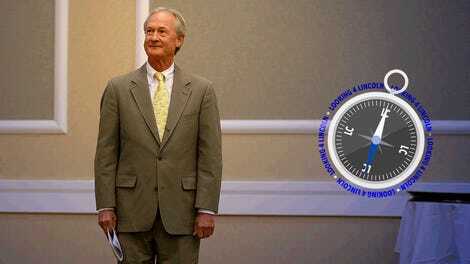 Chafee was last seen voicing opposition to a power plant proposal in Burillville, Rhode Island; before that, he was found criticizing the “mainstream media” for being too hard on Donald Trump, and telling Russian state-sponsored media outlet RT that he supports a potential thaw between Russia and the United States. Before that, he was found telling Esquire that he wish he’d stuck up to Anderson Cooper better during the Democratic primary debate: “If I had to do it over again I would’ve engaged more and said, ‘I didn’t come here to debate five people, I came to debate these four people!’” he said. And before that, he was found, after a long search, in Brazil. Drink up, my sweet Huon astrapia, for summer has come.